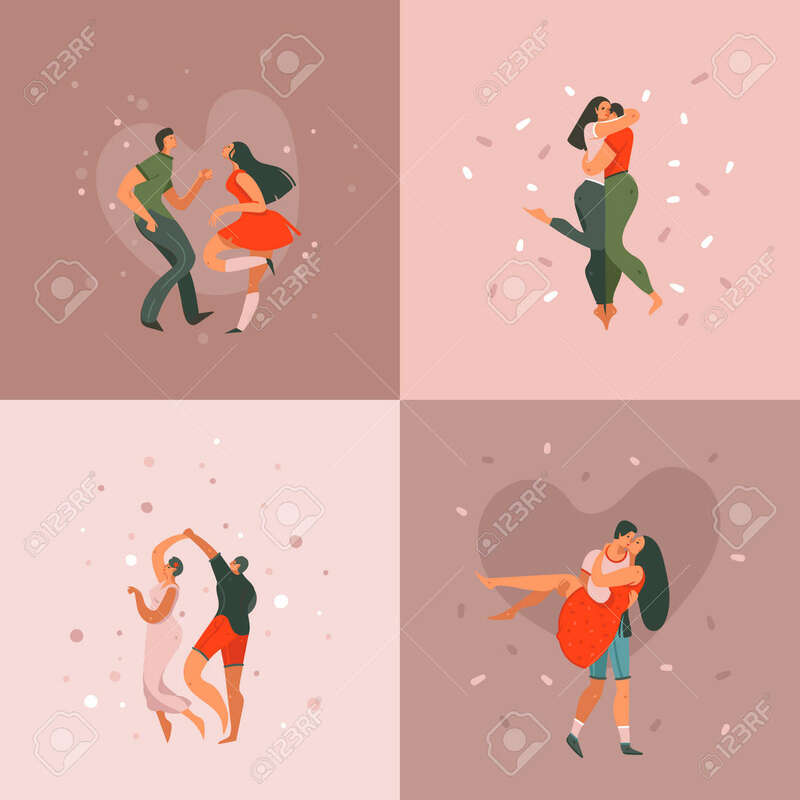 ﻿ Hand Drawn Vector Abstract Cartoon Modern Graphic Happy Valentines Day Concept Illustrations Art Cards And Posters Collection Set With Dancing Couples People Together Isolated On Colored Background. 로열티 무료 사진, 그림, 이미지 그리고 스톡포토그래피. Image 115004418. 스톡 콘텐츠 - Hand drawn vector abstract cartoon modern graphic Happy Valentines day concept illustrations art cards and posters collection set with dancing couples people together isolated on colored background.